It’s the question we’ve all been asking. 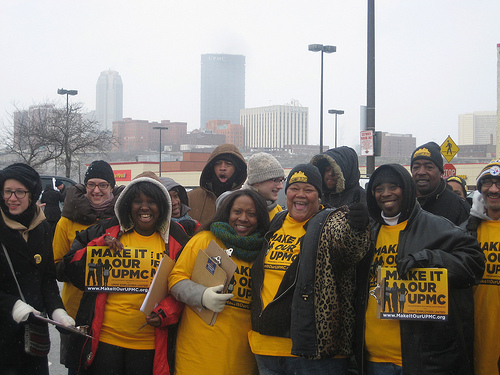 Does UPMC meet the standard for institutions of purely public charity? The City of Pittsburgh thinks not. Pittsburgh – Today, Mayor Luke Ravenstahl, flanked by elected representatives from the City of Pittsburgh, Allegheny County and the Pennsylvania General Assembly, faith leaders and UPMC patients, announced the City of Pittsburgh is filing legal challenges to UPMC’s tax exemptions. UPMC is the largest beneficiary of charitable tax exemptions in both the City of Pittsburgh and Allegheny County. All told, UPMC’s tax-breaks cost tax payers an estimated $204 million dollars in federal, state and local taxes in 2011. UPMC, the region’s largest private landowner, employer, healthcare provider and recipient of charitable tax exemptions, has attracted increasing scrutiny into the validity of its status as a charitable organization. 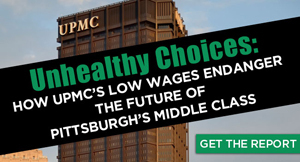 Stakeholders from all over the region have questioned UPMC’s aggressive and predatory business practices, its vast tax-exempt property empire, and the closing of hospitals in underserved areas. 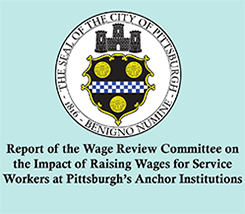 In January, UPMC settled over 80 charges of violations of Federal labor law with the National Labor Relations Board (NLRB) after a seven-month long investigation into allegations of a hostile anti-union campaign. And just last week, UPMC told subscribers of a rival insurance company they could no longer see their UPMC doctors – even if they wanted to pay for care out of pocket.